Reviewed from notes. On tap at the Bavarian Lodge. Pours a very dark brown with a light, thin tan head and some good lacing. The nose brings quite a bit of roast alongside some darker fruits, chocolate, and hints of coffee. The taste is really a nice combination of dry, roasted malt and a bit of semi-dark sweetened fruit. Mouthfeel is nice with a medium body and good carbonation. Drinks very well, and is a few of this style that I've had. Sampled at the Capital Ale House in Richmond, VA. At first, I thought my eyes were deceiving me, but I could not pass this brew up. 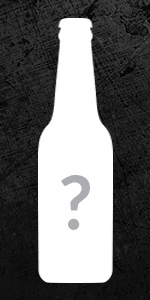 Appearance: This beer pours a very rich dark brown with a lighter cream colored head. Smell: Subtle notes of chocolate and a strong malt scent almost like bread. Taste: Very sweet chocolate flavor with some coffee bean feel at the end. The beer very well layered with the flavors of the different malt. Mouthfeel and Drinkability: Good carbonation and solid weight to it. Surprising brew but a great idea from the brewers at Ommegang. One of Churchkey's rare drafts tapped for New Years Eve. Had this one right after finishing my CBS snifter. Poured nearly black with a thin tan covering that clung to the sides. Aroma is very interesting, it's like a stout and Kreik mixed. it has the chocolate and roasted aromas I expect from a stout but also a strong sour cherry aroma as well. Taste was very interesting and delicious as well. As with the nose it tasted like a stout and a Kreik mixed. Roasted grains and chocolate up front and then it finishes with a strong sour cherry kreik flavor. Mouthfeel followed more of the stout category, medium to full bodied with moderate to low carbonation. Drinkability was good, I enjoyed the one I had very much. Overall it was a very delicious and interesting beer. The best thing I could compare it to that I have had was Bell's cherry stout if they used sour cherry juice instead of sweet. I like the mix though would buy a similar beer again. Although i did not vote for Obama, this brew was truly a treat. Ommegang did a fantastic job with their combonation. The brew tasted slightly hot, but overall had a very smooth and palatable feel. If possible, I highly recommend taking a trip to Ommegang's brewery to try this. On tap at Ommefest, 9/12/2009. Served in a plastic cup. Oh well! Straight off, this beer reminds me of Biere de Mars. Color and scent are close, but it's obvious Ommegang made a purposeful distinction. Obamagang has much stronger notes of coffee, chocolate and malty fruit, the latter of which is a hallmark of Ommegang beers. Pours with a nice foamy head. Mouthfeel is fairly light for a stout, which makes it much more refreshing. Hard to find this beer anywhere but Ommegang events, but do your best to get to the brewery to try it! this beer pours a dark brown color with a tan head that fades to patchy lacing through the session. the aroma brings a nice sweet fruit, and roasted malt smell, the ommegang yeast plays nicely with the dark malts. the taste follows with the sweet malt and cherry like fruit esters making it near a dessert in a glass. the medium body and good co2 make it a very drinkable beer. I had the pleasure of tasting this one with one of the tour guides at the Ommegang Brewery (8.10.09). The appearance of the Obamagang Inauguration Ale was deep mahogany, with a thick tan head. The smell was coffee, cocoa and malts. The taste paralleled the aroma; started with coffee notes, roasted malts and finished slightly sweeter a la cocoa. The mouthfeel was medium to heavy, with plenty of carbonation. Great drinkability ... absolutely delicious stout. The guide/associate would not divulge whether or not the brewery had any intention of turning this recipe into one of Ommegang's future offerings (maybe under a different name, hehe). Ommegang Inauguration Ale (Obamagang) is a hazy brown ale with a thin, dense brown sugar-colored head. The retention and lacing is very good. It smells like chocolate and coffee, a little leafy and sweet, like molasses. It's medium bodied with a mineral texture. The finish is a little astringent. It tastes quite chocolaty and it's well balanced with a pretty green hop bitterness. It's a good, sturdy stout. I had this on tap at BCTC '09 served in a Duvel Tulip chilled. I enjoyed another pint later while watching Across the Universe on the lawn by the tasting tent projected on an inflated screen. M - Rich, creamy feel w/ slight sour and dark chocolate bitter essence. The toasted malt presence is there w/ a spiced and moderately full feel, slight bitterness in the finish with roasted notes throughout. T Dark fruit and toasted malt flavors combine w/ a gentle cocoa flavor. The yeast flavor is vinous and spiced w/ hints of dark cherry adding complexity to the roasted mildly nutty malt flavor. The malt has a dry roasted quality w/ gentle alcohol in the background. The ale finishes slighly sweet with Belgian yeast and roasted malt flavor. D - A rich porter with malt full in the taste and light cherry accent makes of a pleasing, very fresh and complex flavor. On tap at Fat Heads in North Olmsted, Ohio a few hours ago. Review from notes. Poured into a clean, clear glass. A Creamy light brown head over a dark dark mahogany body that is not black but really, really dark. Some lacing as well on the glass after repeated sips. S Dark roast malt, some chocolate notes. Interesting and inviting. T Dark roast malt, some kind of cherry (could it be the Kriek?) and maybe some chocolate in there too. The taste is way too busy, trying to be too much and the taste suffers. M Big beer with creamy smoothness, not well hidden alcohol and big chocolate and other tart tastes all serve to dirve up the mouthfeel which is not to my liking. D Not drinkable. I did not finish my pint. Notes: You will have to look far and wide to find a bigger fan of Brewery Ommegang beers. I have visited the brewery, took the tour, have (almost) all of the proper glassware, the T-shirt, you name it. It was with great anticipation that I approached this "new" beer for 2009. My respect for Brewery Ommegang really was reduced with this beer. At first this beer is attractive and ambitious, attempting to be all things to all people, a savior of sorts, but in the end it fails. 12 oz draft pour into a goblet at the Taco Mac Alpharetta location. A: Pours a nice dark brown with interesting purple tinted highlights. The head was a purple tinted tan. It loses a bit for retention and lacing, but it gains points for originality. S: I assume the serving was a bit too cold because I couldn't pick up anything in the aroma without a vigorous swirl in the glass. Finally some chocolate notes started to open up. T: The chocolate flavor pretty much dominates the taste. There is a fruity after taste, but it doesn't really taste like cherries as I would expect since its blended with a kriek lambic. M: Nice medium body with an excellent in mouth carbonation level. Nice smooth creaminess in the mouth due to the carbonation. D: The odd fruity after taste makes me go a bit slower than expected for the ABV. Had on-tap at Taco Mac Metropolis in Atlanta. Pours an opaque dark brown color with dark ruby highlights and a one-finger tan head. The head recedes into a thin pancake on top leaving decent lacing. Smells of dark chocolate, roasted coffee, and dark cherries. As the beer warms the dark cherries are joined by figs and the roasted coffee aroma fades substantially. Tastes good. Dark chocolate and roasted malt flavors up front are joined by dark cherries and hints of figs. As the beer warms the fruit flavors become a bit stronger but the chocolate flavors are still in charge. Ending is mildly bitter and leaves a fruity aftertaste. Mouthfeel is good. It has a nice thickness with moderate carbonation. Drinkability is good. I had no problem finishing my glass and could have a few more. Overall this was a solid beer and I'm glad I had the opportunity to try it. Definitely worth a shot. I had this one on tap at the Ommegang Brewery on 5/6/2009. A= This ale poured a deep chocolate-black color with pretty much zero light penetration and a 1" frothy dark tan head. The head retained at least a half inch all the way down the glass. Minor foamy lace stickage. S= Heavenly blend of chocolate, sweet malts, raisin, slight roasted grain, and a hint of cherry. T= Pretty much followed the smell, though the roasted grain bitterness was just a hair too high for me. Still a great blend of all flavors. Sort of tasted like a chocolate covered cherry. Finished moderately sweet. MF= Medium bodied with a prickly and persistent carbonation. D= Very drinkable. I think I like it better than this year's Chocolate Indulgence and the Three Philosophers both. Poured from a growler into a stemmed tulip glass at the Warwick Imbibement Conclave 2009. Big thanks to Durge and ohoove for this treat! A: Poured a dark, wooded amber color with a slight head of thin cocoa colored foam. Carbonation seemed nice and adequate despite the visibility through the beer being muddled. S: A complex bouquet of bittersweet cocoa and fire-roasted wood backed by lush, vine ripened fruits, a little coriander and spices. T: Taste is a smooth blend of rich, roasted caramel and toffee malts with a thinning fruity and herbal hop addition. The sweet fruitiness is mellowed and balanced by a dry hop flavor and clean, biscuity malt. Slight flashes of twangy yeast esters come through in the finish and can be tasted via nostril exhale ... really! M: Mouthfeel is medium bodied, fairly well carbonated and smooth. D: This was a very tasty brew, but as Durge mentioned, it might have been wise to tackle it earlier in the batting order. Flavors might have been influenced by hop resins or overall alcohol contents. At any rate, it was a complex and sturdy drinking ale which you should get, if possible, while you can. This was to be the centerpiece of our first official session of the Warwick Drinking Society last night, a growler from Half Time in Poughkeepsie, NY we had way high expectations. Waiting till more wee hours and following all manner of beer geekery to pave the way to our vaunted grail, it is a pretty good bet that none of us could do this Belgian Dark Ale true justice but here is my quick take anyhow. Poured into a classy glassy complete with stem at the always refined O'hoove Garage Cafe, this creature showed a dark mohagany color with a modest chocolate color head and similar lacing. The aroma is a watered down Milky Way and mild smoke blows over it nicely. The taste is smokey raspberry with a malty chocolate in a mid to thin body, finely carbonated package. There's a touch of some sweet licorice and acidic wood. Not off the charts but very unique. Sharp grass hops in a reasonably drinkable brew. I definitely liked this and think this might have been a much bigger hit if consumed under lower traffic conditions! Regret that we didn't have this early in the drinking order instead of near last, but clearly this was good stuff that probably would be wonderful with a bit of cheese. Unfortunately this one will be disappearing for ever soon but i would buy it again if I had the chance, although it ain't cheap! Another beauty from Ommegang.